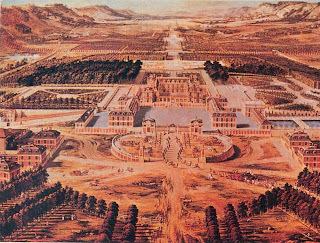 The Palace of Versailles began life as a humble chateau built by King Louis XIII in 1624. 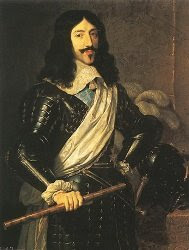 His son, King Louis XIV grew up very fond of the place and expanded the chateau into one of the largest Palaces in the world. 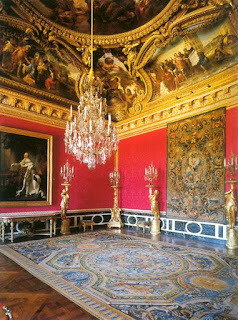 The Queen's bedchamber. 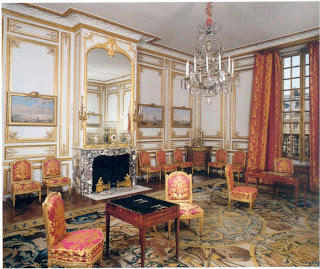 There is a barely discernible hidden door in the corner near the jewel cabinet through which Marie Antoinette escaped the night of October 5th or 6th 1789 when the Paris mob stormed Versailles. 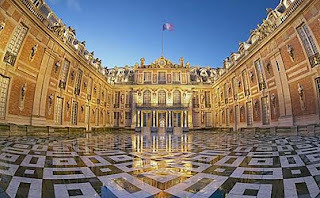 Official website for Chateau de Versailles. Breathtaking! I just have to convince my hubby to take me there! I had never seen such a great shot of the courtyard before - and, of course, I absolutely love the bedroom. Thanks, amy. 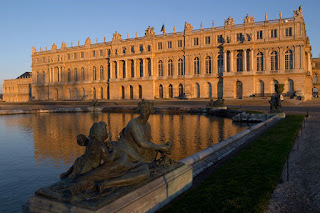 I visited Versailles years ago and have wanted to go back ever since. I think I was too young to appreciate it, lol. I still have pics somewhere around here...it certainly was beautiful! Ms. Lucy: you and me both! I think the only way I can entice hubby is if Pearl Jam is playing a concert there! Michele: you're so lucky! I feel the same way about when I went to Rome. I want to go back very badly to see all that I missed! These pictures never cease to amaze me. 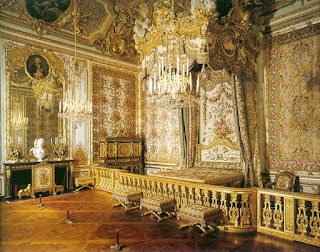 Such opulence! Wow!!! You're making it really difficult to plan my next trip across the ocean. I have actually been there. It is gorgeous! Thanks for the great post and great pictures! Great pictures! The last one really gives perspective about how large it is. Wow! 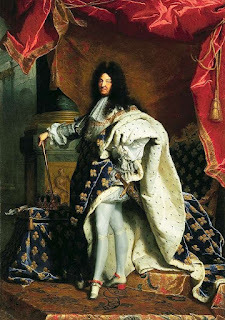 The photographs are absolutely wonderful. 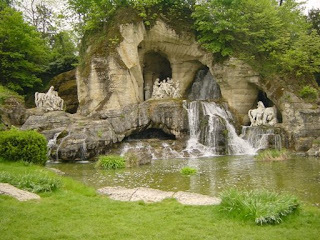 I really, really want to go there someday and see it with my own eyes. Great post. 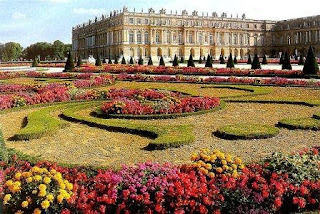 Versailles is stunning.